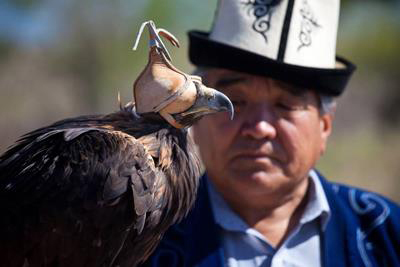 Kyrgyzstan is a land-locked country in Central Asia, located along the ancient Silk Road, a crossroad for people of various origins and traditions, yet the prevailing culture is that of a nomadic lifestyle shaped by the natural surroundings. Kyrgyz shepherds move around with their flocks of animals according to seasons, living in tent-like homes called yurts; there’s a saying that goes “only in death, when he is buried, that a Kyrgyz stops wandering”. 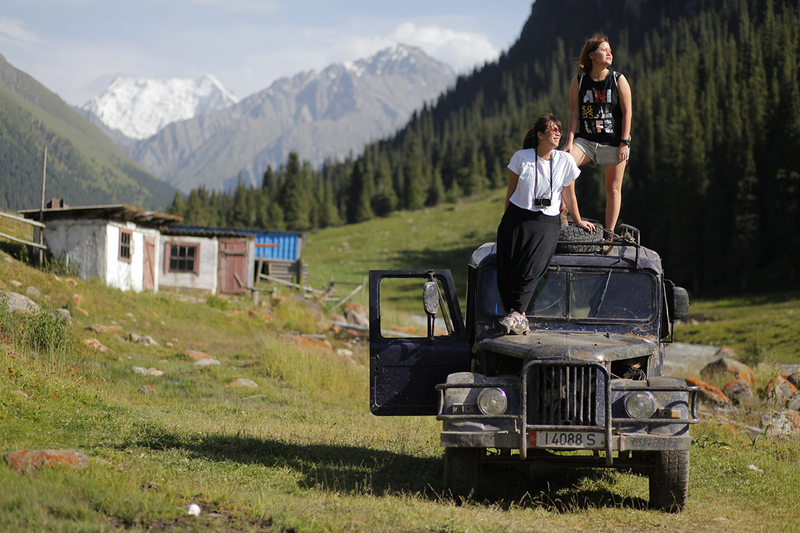 Kyrgyzstan rewards visitors with unspoiled nature, hospitality, and free spirit of nomadic traditions. In summer, high plateau pastures (jailoo) and lakesides are dotted with nomad tents, it is the best season to experience nomad lifestyle. 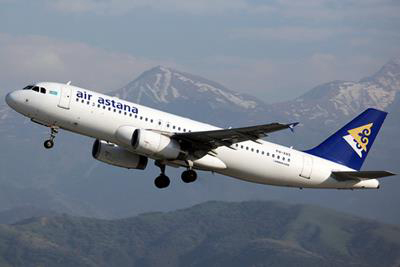 Morning depart from Kuala Lumpur International Airport on board Air Astana, transit in Kazakhstan’s Almaty, arrival in Kyrgyzstan’s capital Bishkek around sunset, transfer to hotel. Head for Chong-Kemin Valley. En-route visit an important point on the ancient Silk Road — the Burana Tower architectural complex, dated back to the 10th century, monuments include a minaret, remnants of a castle, and ancient warrior cemetery. Enjoy home cook meal near Burana at a Kyrgyz family home. Overnight at home stay in Chong-Kemin. 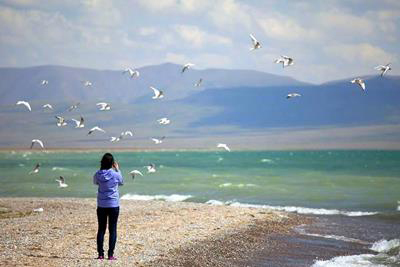 Drive to Issyk-Kul region. En-route visit Cholpon-Ata’s open-air petroglyph gallery. The rock paintings include hunting scenes dated between 800BC and 1200AD. 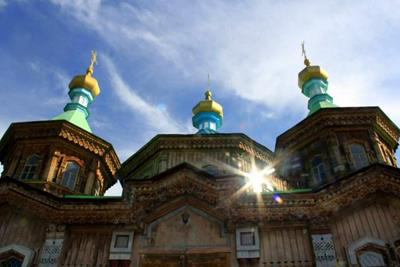 Afternoon arrival in Karakol, visit Dungan Mosque (Chinese Muslims) and Russian Orthodox wooden church. Overnight in Karakol home stay. 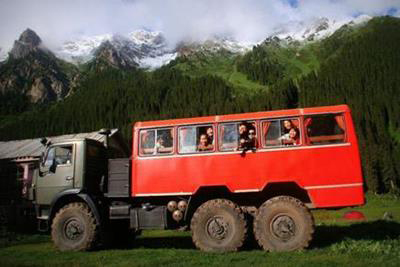 Morning drive to the foothill of Altyn-Arashan, then transfer into a trailer bus (kamaz) to ascent 16km to 2435m above sea level. Enjoy picnic and hot spring bath in the mountains. Overnight in a hut, enjoy the serenity of the mountains, and counting stars at night. 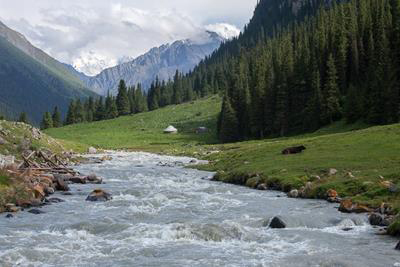 A leisure morning at Altyn-Arashan, explore the surroundings. Later, trek down to the foothill, then transfer by car back to Karakol. Free time to explore the town, such as visit local market, stroll around the old residential quarters to admire wooden architecture. 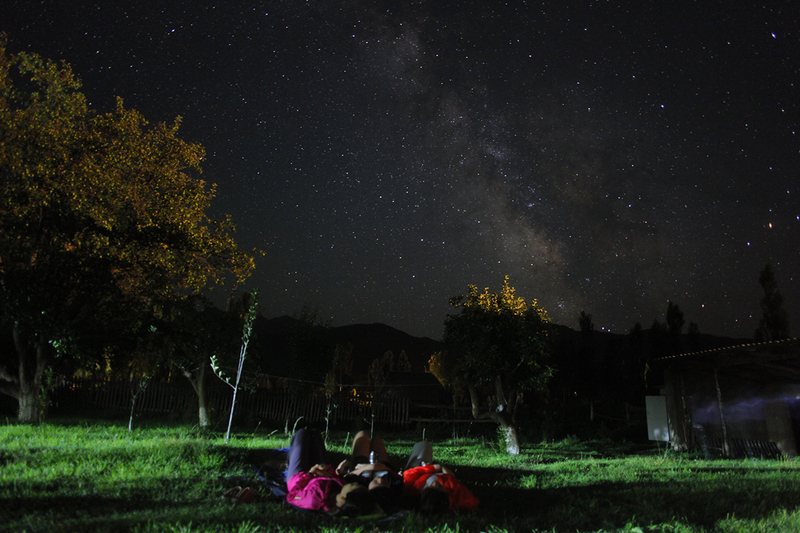 Overnight in Karakol home-stay. 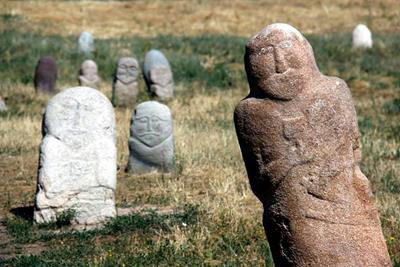 Drive to Jeti-Ögüz Gorge (Seven Bulls), named after huge flaming red rocks that resemble the shape of bull . 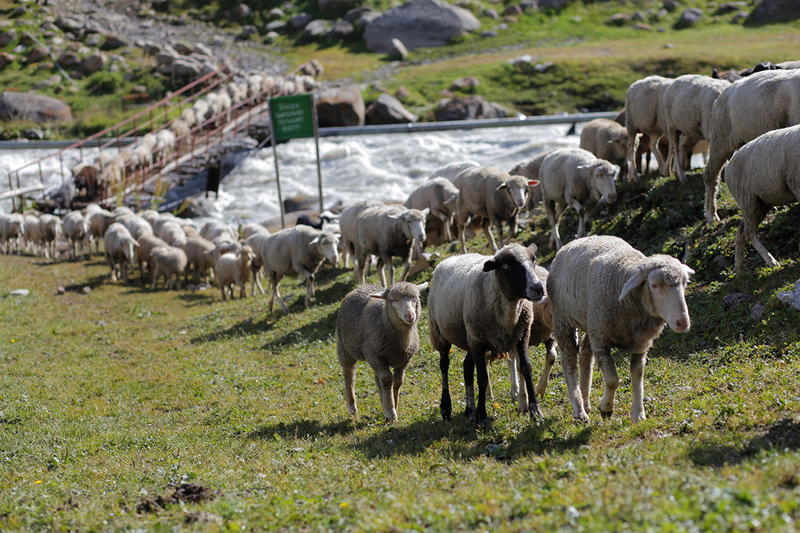 Visit the Kök-Jaik area (Valley of Flowers), picnic lunch on summer pasture. 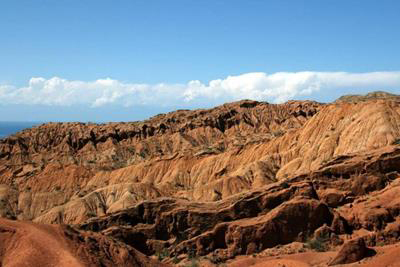 Later head to the southern shore of Issyk-kul, on the way visit Skazka canyons, admire rock formations shaped by wind erosion. 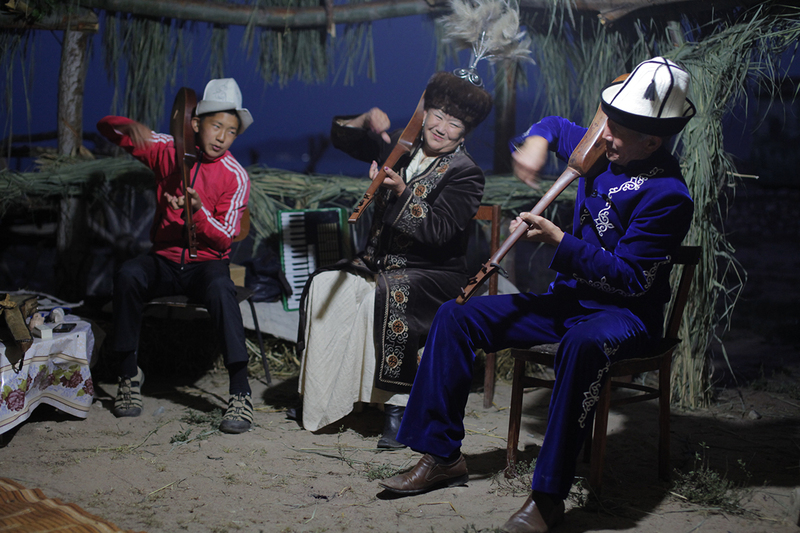 Overnight at a yurt camp, after dinner, enjoy a folklore show. 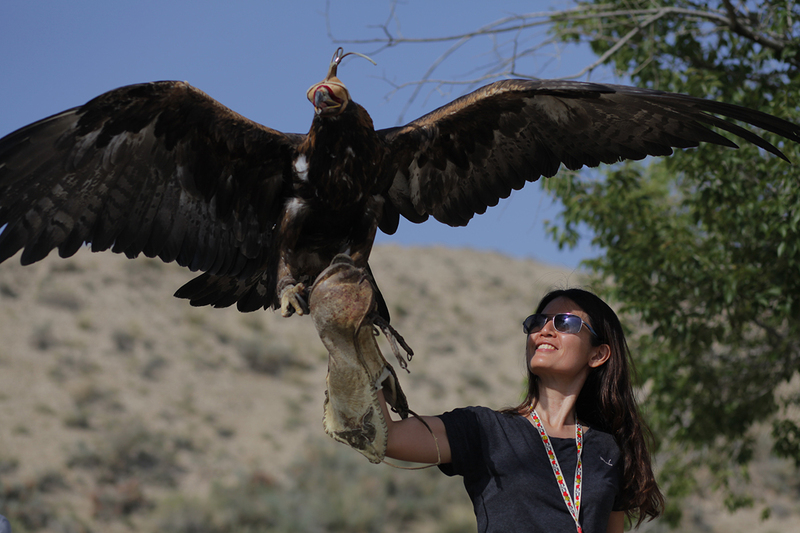 Eagle hunting demonstration in the morning, learn how local hunter trained eagle as partner. After lunch at yurt camp, drive to Kochkor Village, visit a handicraft workshop, and learn how Kyrgyz felt carpets ( ala kiiz ) are made. Overnight at home stay in Kochkor, enjoy home cooked meal. 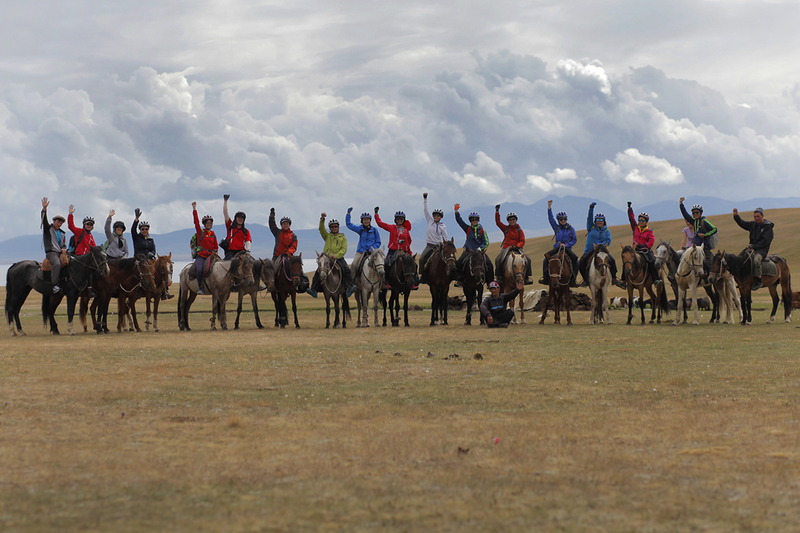 Transfer to Kyzart pass, the starting point for 2-day horseback trip to Song Kul. Cross Kyzyl-Kiya jailoo (summer pasture for nomads). 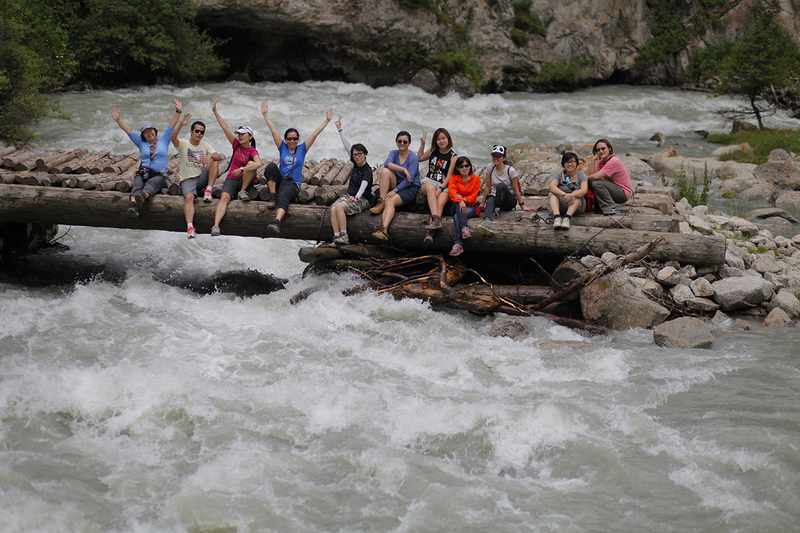 Continue over Chaar-Archa Pass (3061m), picnic lunch by the river, with views of the holy Baba-Ata Mountain (4400m). Follow the trail to Kilemche Jailoo, dine and sleep in yurt camp. Spend the morning climbing to Jalgyz Karagai pass (3400m), enter the lake basin. 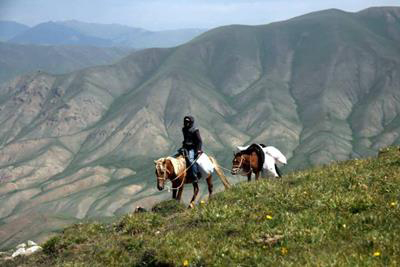 The trek offers superb views of grassland and mountain ranges. 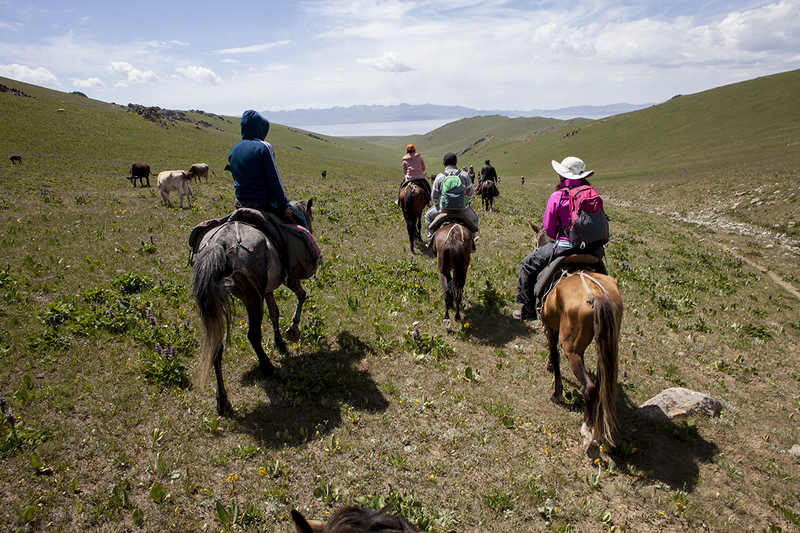 After lunch at Jaman Echki, follow the lakeshore east to Batai Aral, and meet the host family of Kyrgyz shepherds. 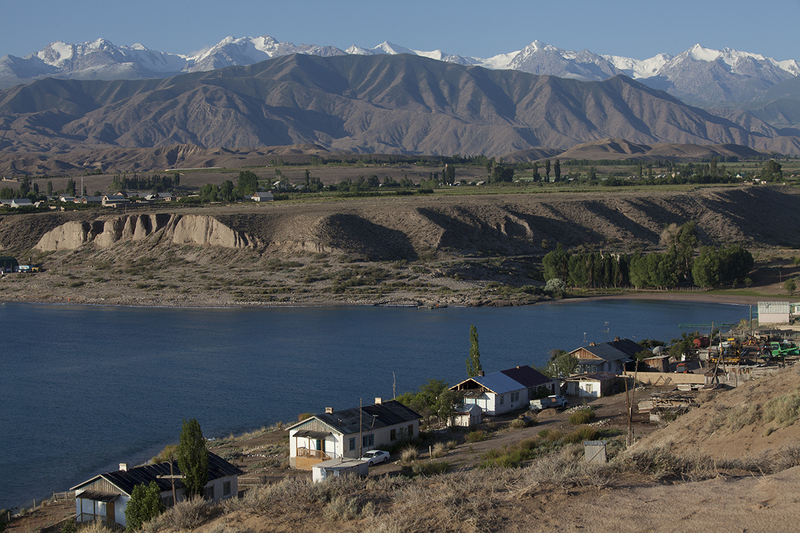 Overnight in yurt，enjoy typical local food, such as fermented mare’s milk and grill fish from the lake. Rest and relax by the lake side. Watch or participate in everyday life of shepherds: milking cows; making national milk products like kymyz (fermented mare’s milk) or airan (a sour dense milk product); tending sheep and cattle. Enjoy home cook meals, stroll along the lakeshore, play local sports. Overnight in yurt camp. After breakfast transfer by car to Bishkek (6 hours), upon arrival check in to guesthouse. 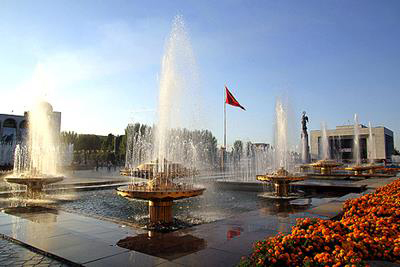 Later, explore the capital city of Kyrgyzstan, visit the downtown square and surrounding sites of interest; feel the local city life and vibes. Evening free and easy, dine out at restaurant. 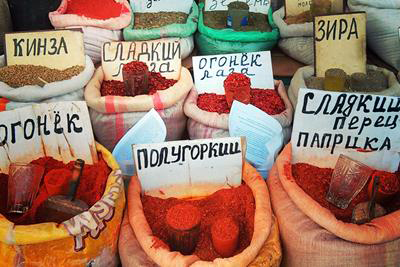 Free & easy in the day, you may visit the malls in city center for last minute souvenir hunting, or head to one of Central Asia largest wholesale markets – the Dordoi bazaar, where stalls are set up in huge multi-storey containers. In late afternoon, transfer to the airport; board a flight heading to Kazakhstan for transit. Board an early morning flight from Kazakhstan back to Kuala Lumpur; arrive the same morning around 10am. End of tour. A non-refundable deposit (unless tour cancelled by LevArt) of RM2,000 is payable to secure booking. Balance fee RM 4,000 to be collected upon booking deadline or when the tour is fully booked. Accommodation mainly in home stay and yurt, for those used to urban living, the comfort level may seem compromised. At times, multiple sharing in a room, or mixed gender sharing, and certain places lack shower facility or modern toilet. These are part of the authentic experiences of the reality on the ground; please face them with open-mindedness and understanding. 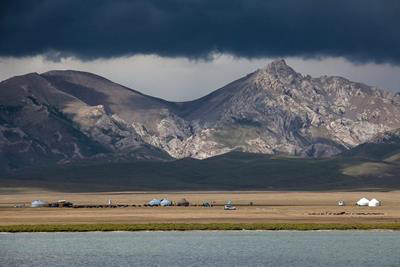 For topography reason, weather in Kyrgyzstan varies from place to place, and the day and night temperature gap is huge; temperature could range from 5 Celsius to 32 Celsius. Mindful to keep warm and apply sun protection. 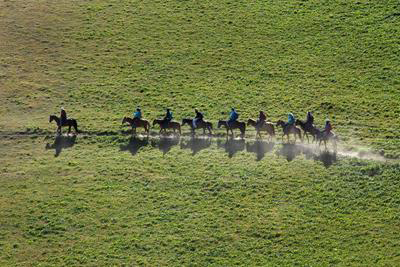 There’s a two-day horseback riding trip (D8/D9), riding 4-6 hours per day. The itinerary includes short hiking trip (D5/D6), require some stamina, advisable to train your fitness level before departure.